A set of defence co-operation contracts, worth £120 million, for the early phase of a joint development of Unmanned Combat Air System (UCAS) between the UK and French governments have been awarded today in Paris. A UCAS capability would, by the 2030s, be able to undertake sustained surveillance, mark targets, gather intelligence, deter adversaries and carry out strikes in hostile territory. The contracts will underpin a two-year Future Combat Air System (FCAS) Feasibility Phase programme and will involve six industry partners exploring concepts and options for the potential collaborative acquisition of a UCAS in the future. The contracts award was jointly announced by Bernard Gray, the Ministry of Defence’s Chief of Defence Materiel and his counterpart, Laurent Collet-Billon, head of the French Directorate General of Armaments. Mr Gray said: “The development of Unmanned Combat Air Systems is of vital importance to the UK and France, which have the most capable and experienced armed forces in Europe and well-established defence industrial bases. Mr Collet-Billon said: “The technological excellence of our defence aerospace industry must be maintained over the long term. It is a matter of sovereignty and operational superiority. This requires an ambitious investment strategy open to partnerships. The programme will develop and compare two national designs and concepts that will lead to a joint one which could then be used for any potential follow-on UCAS demonstration programme. The Feasibility Phase programme follows a Statement of Intent at the Anglo-French Security and Defence Summit at RAF Brize Norton in January and a Programme Arrangement at the Farnborough International Air Show in July this year. 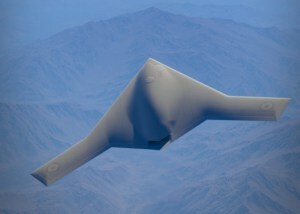 The six partners involved in the development of the Unmanned Combat Air System concepts are BAE Systems, Dassault Aviation, Thales France, Selex ES, Rolls-Royce and Safran. PARIS --- France’s Delegate-General for Armaments, Laurent Collet-Billon, and his British counterpart, Chief of Defence Materiel Bernard Gray, presided over the industrial launch of the Franco-British project for a future combat UAV (FCAS - Future Combat Air System) on November 5, 2014. They solemnly awarded FCAS study contracts of the FCAS feasibility phase to the selected industry teams: Dassault Aviation and BAE Systems; Rolls-Royce and Safran; and Selex ES - Thales). The signing of these FCAS contracts mark a new, successful milestone for Franco-British cooperation, which since 2010 has benefited from the momentum provided by the Lancaster House treaties. It follows the commitment made at the Franco-British Summit meeting at Brize Norton in January 2014 between President Francois Hollande and Prime Minister David Cameron, and the inter-government agreement signed by Defence Minister Jean-Yves Le Drian and his British counterpart at the Farnborough Airshow in July 2014. It follows a two-year preparatory phase which brought together on this ambitious project Dassault Aviation and BAE Systems as system integrators, Thales and Selex ES for on-board electronics and sensors, and Rolls-Royce and Safran for propulsion. The joint financial commitment amounting to £120M (€150M) is divided equally between the two nations, and is complemented by national studies undertaken in parallel for a total cost of around £40M (€50M) per country. This two-year joint feasibility phase, which begins today, will focus on UCAV general architectures, on certain key technologies and on the definition of simulation tools to validate the technical choices and operational concepts. France and the United Kingdom will also contribute the experience gained in the field of air combat drones, with the Dassault Aviation NEURON and BAE Systems TARANIS technology demonstrators. The feasibility phase will also prepare the launch of the development and implementation phase of a UCAV demonstrator scheduled for early 2017. The FCAS project ensures the future of the aviation industry in the field of combat aircraft.